Bees are important insects because they make honey. They also pollinate flowers and keep our environment beautiful. They are needed for fruit pollination. Beekeepers look after bees and make sure their hives are near flowers which will give them the nectar to make honey. When bees swarm, they are following their queen from an old hive to make a new colony somewhere. 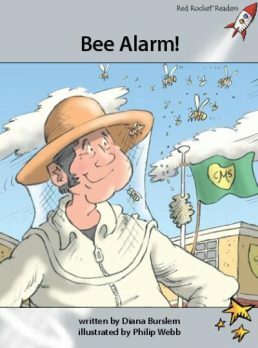 Bee Alarm! 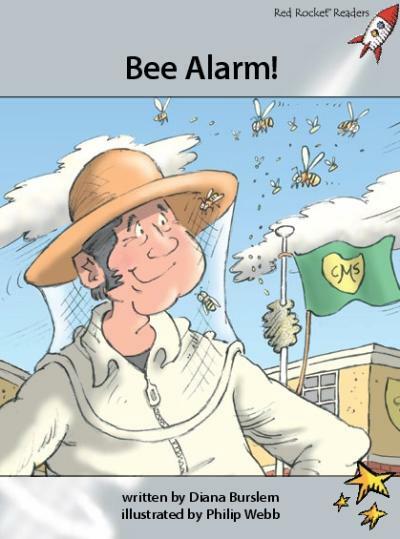 is about a swarm of bees who settled in a schoolyard and had to be removed safely.